Those who have read a bit about the history of trams and narrow gauge railways in the broader Zürich area may know that the Zürich tram network once linked to a web of interconnecting interurban trams reaching as far afield as Wetzikon to the southeast and Wohlen to the southwest, the latter line crossing the cantonal border into Aargau. Despite much of this network being eroded away between the 1930s to the 1950s, rising commuter flows turned around the fortunes of the remaining sections, notably the Forchbahn and more appropriately for the present news item, the Bremgarten Dietikon Bahn (BD, now BDWM). 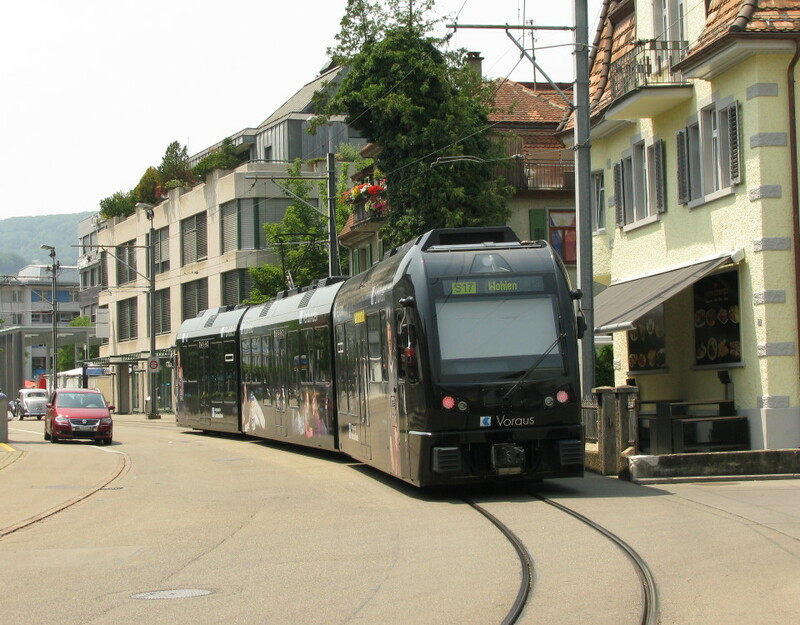 To provide a brief potted history of the latter, the BD first opened in 1902 as a tramway starting at Dietikon (where it connected to SBB as well as to the - since vanished - Limmattal Strassenbahn (LSB) linking it to Zürich). From there, the line crossed the Mutschellen (the line features a series of picturesque hairpin bends) before finally reaching the little town of Bremgarten, whose old town is perched on a rocky outcrop in a bend of the river Reuss. The BD was, and still is, the essence of narrow gauge at its best. Efficient and not overbuilt and very much still a backbone of the communities it serves. Bremgarten, however, was already served by another railway. A standard gauge branch line from Wohlen ended at what is now Bremgarten West (on the "wrong" side of the Reuss). 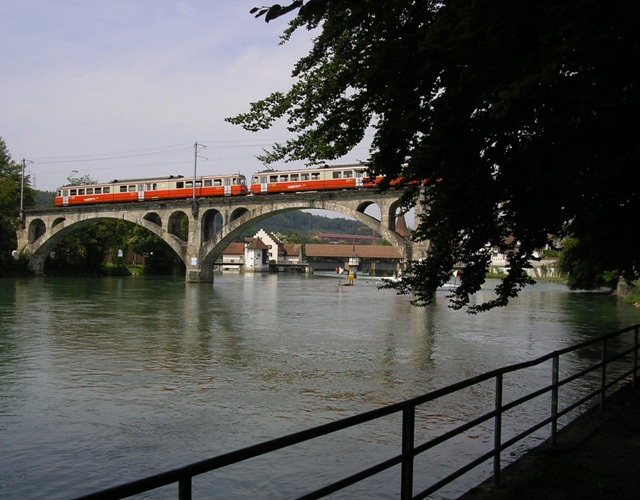 In 1910 SBB agreed to transfer the line to BD, who built the now iconic bridge over the Reuss connecting the two stations. 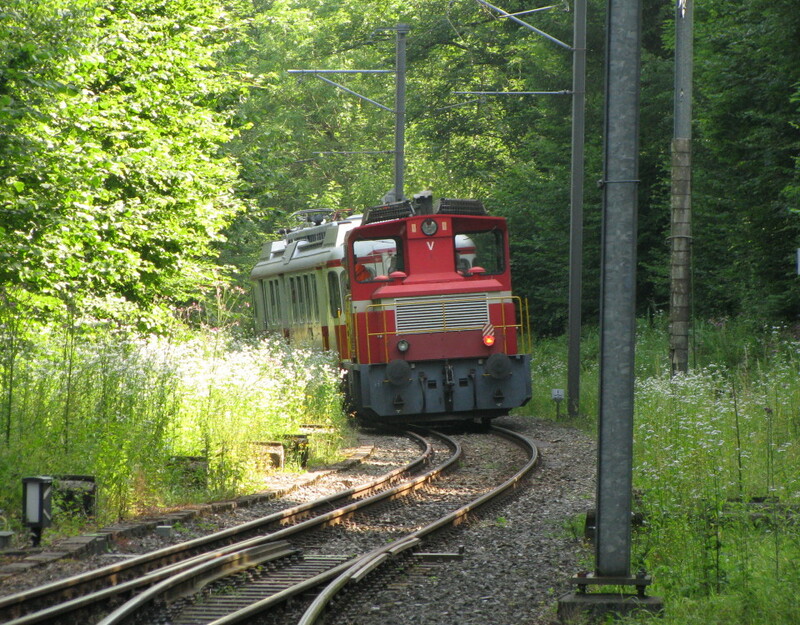 The ex-SBB line to Wohlen was electrified and converted to mixed gauge, opening in its new guise in 1912. The mixed gauge permitted standard gauge freight to continue to access Bremgarten West (and was also used by the occasional passenger special). With planners around the world today considering trams as a valuable tool to revitalise local railway links while extending their reach from peripheral stations into city centres, it is mostly overlooked that BD had already done this before probably even their grandfathers were born. Despite Switzerland being able to maintain much more local freight by rail than other countries for many years, wagonload freight has taken a serious downturn in the last decades and many sidings across the country now lie idle. No freight train has run to Bremgarten since 2009 (although sporadic standard gauge specials for enthusiasts have found their way). With track renewals due, the decison has been taken to relay the line as meter gauge only. BDWM are marking the end of standard gauge operation on Friday to Sunday 26-28 June. Special trains will be run from Bauma with steam locomotive Eb 3/5 No. 9 of DVZO (there on Friday and back on Sunday) and from Olten with the Bm 4/4 II diesel of SBB Historic (both ways on Saturday). Both locomotives will provide shuttle trains between Bremgarten West and Wohlen on the 27th and the steam locomotive furthermore on 28th. More information from BDWM here. 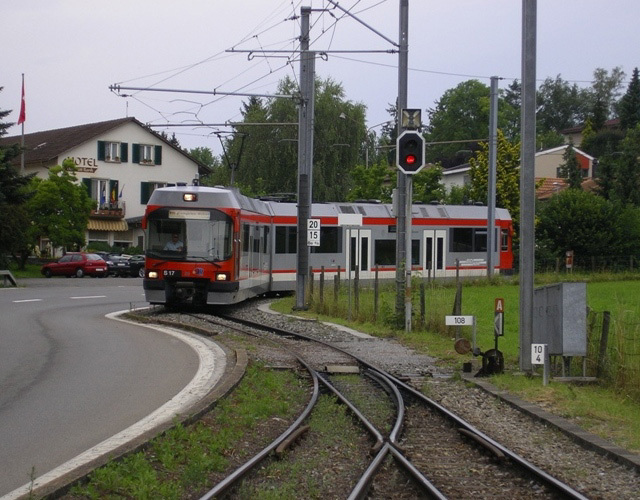 The actual track work will take place from 13 to 26 July, during which period a replacement bus service will operate between Bremgarten West and Wohlen.